Camphor wood is often used for outdoor furniture due to its natural insect repellant properties. The dense, durable wood is derived from an evergreen found in some parts of Australia and native to Asia. Similar to other types of wood, camphor wood must be cared for regularly to keep it from damage due to dryness or lack of care. You can clean and restore your camphor wood furniture by using the appropriate supplies and techniques. Camphor wood furniture adds beauty and functionality to a patio. Wipe the camphor wood surface with a dry, microfiber cloth to remove dust and dirt sitting on the surface. Wear away minor scratches with fine-grit sandpaper. Move the sandpaper back and forth over the scratches in the direction of the wood grain until the surface is smooth. Wood soap cleans camphor wood without removing moisture. 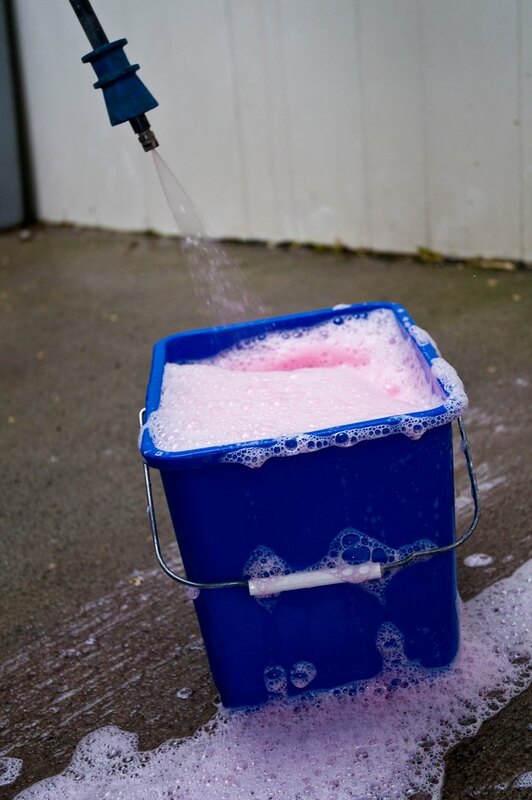 Fill a bucket with 1 gallon of warm water. Add two caps full of wood soap. Moisten a microfiber cloth with the wood soap solution. Wash the surface of the camphor wood to remove stains and stuck-on dirt. Rinse the camphor wood by wiping it off with a damp cloth. Dry the wood with another cloth. Apply furniture paste wax to the camphor wood with a piece of cheesecloth. Rub the paste wax into the surface of the wood to moisturize it. Allow the wax five to 10 minutes to be absorbed into the wood. Remove excess wax by wiping it off with a clean, dry cloth.